Makrides’ presentation was a series of sculptural installations in wood, stone, metal and other media. The work was imbued with identifiable modernist influences, simultaneously incorporating explicit references to the artist’s native environment and its ancient history, mythology and philosophy. By that time, Makrides’ practice had established him as one of the first conceptual Cypriot artists, exemplifying the essence of a peripheral, though internationally competent artistic production, viewed as bringing the local and the universal to an effective synthesis. Known for his idiosyncratic temperament and uncompromising nature, Makrides had no interest in travelling to Venice to set-up his show. The task was instead taken up by Maria Loizidou, the artist who had represented Cyprus in the previous biennale, who also designed the pavilion catalogue. On 26 June, just after the official opening, Corriere della Sera published an overall review of the shows, commenting among others on the “great neoanthropological interest” of Makrides’ work. 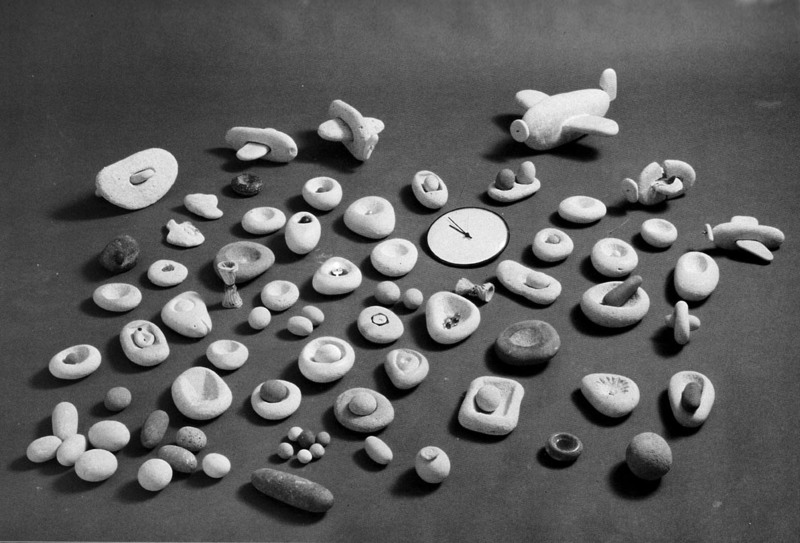 Angelos Makrides, Burial Gifts for a Child, 1988. 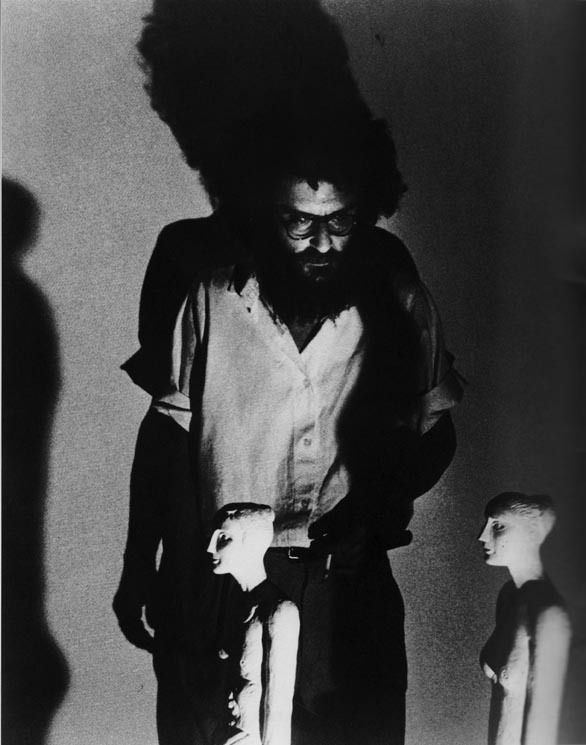 Angelos Makrides, The artist next to one of his works & siblings, 1988. Angelos Makrides (b.1942, Yialousa) lives and works in Nicosia since 1986. 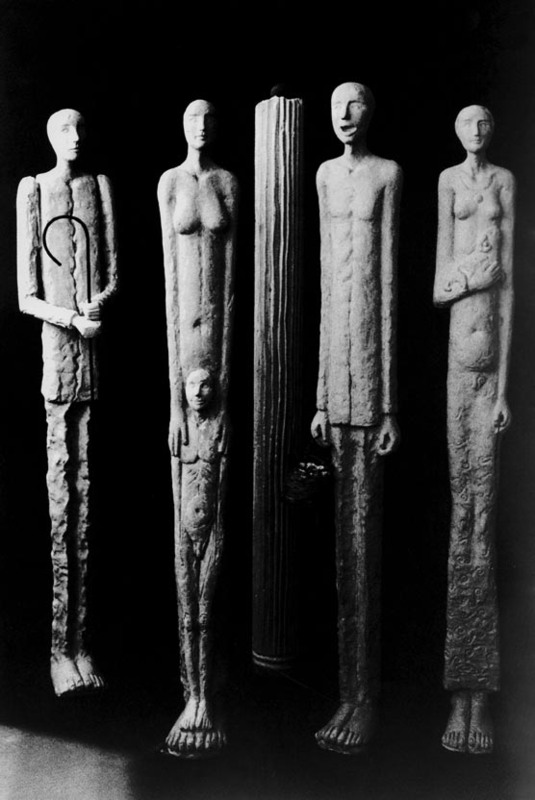 He studied sculpture at the Athens School of Fine Art (1961-1967) with Thanasis Apartis. He worked in Paris (1967-1969), in Nicosia (1969-1974) and in Athens (1974-1986). Makrides represented Cyprus at the 43rd Venice Biennale of Art, as well as the 36th Venice Biennale of Art together with four other Cypriot artists.